Walmart will be opening a high-tech distribution center in Shafter, and it's set to bring hundreds of jobs to Kern County. Three hundred jobs will be coming to Kern County thanks to Walmart. 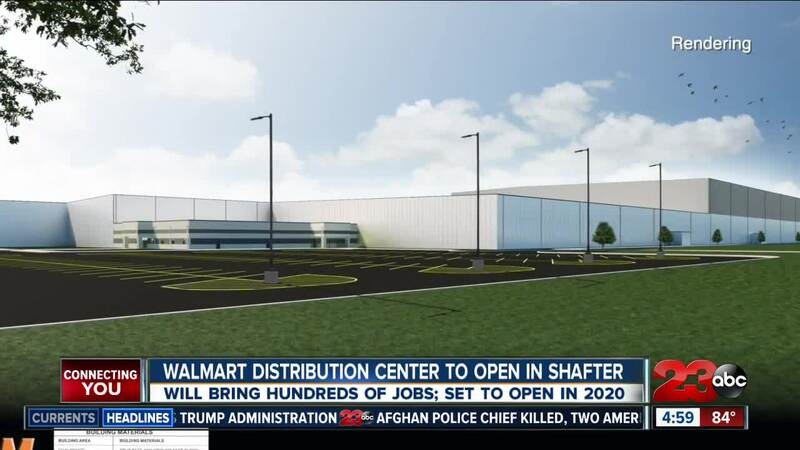 On Thursday, Walmart announced that it will be creating a new "high-tech perishable grocery distribution center in Shafter." What the company calls a "first distribution center of its kind" is scheduled to open in fall of 2020. In a press release, the company stated the distribution facility will create 300 full-time jobs, including 100 that require STEM skills and "represents the importance of grocery and the Central California region to the company."